The organisation was registered in the end of 1995. The initial 2 years was spend on the identification of the area and building up a rapport with the local indigenous community in the Bisra block of the Sundargarh district of Odisha. In 1998, Disha was supported by CRY for initiating its work with the tribal children of 5 villages on their development with pre-primary and non-formal education along with the health improvement of the mother and children. It was realised that unless the family condition is improved, the development of the children cannot be ensured. Hence, in the year 2000, micro level plans of 20 villages were prepared. The responsibility was divided among the villagers, government and Disha along with active peoplea��s participation with the support of Action Aid. 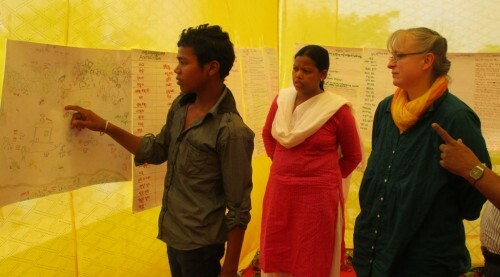 Action Aid later on supported the strategic activities planned by the tribal community of the Bisra block. The activities were focussed on organising, building up their capacity to manage their sources of livelihood, improving the food security period and work for improving womena��s status in the villages. In the later years after 2004, the geographical area was expanded with the implementation of the activities related to livelihood security, increasing productivity through natural resource management, women empowerment, child rights and developing an organisation of the weaker and marginalised community particularly tribal, women and children. The engagement with the government programs were also initiated after 2004 in the form of CHILDLINE, then with water and sanitation mission, department of agriculture and other government departments. The geographical area was expanded to 50 villages with direct implementation to demonstrate models and advocacy effort in their entire district of Sundargarh. 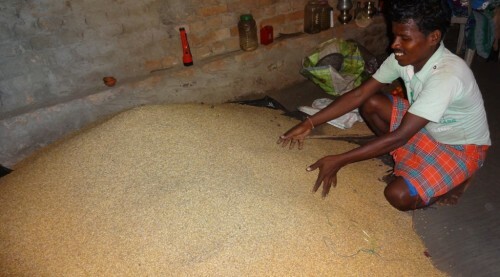 A minimum wage and equal wage movement was started in 2004 using Supreme Courta��s Food Commissioner and right to food campaign which continued for 2 years and benefitted lakhs of daily wage earners, especially the women folk of the Sundargarh district. The capacity building of the Panchayati Raj bodies in the four blocks was done for improving the local self-governance. The first social audit on MGNREGS in Odisha was done by DISHA in 2007. It had an impact throughout the district. The direct intervention was expanded to 288 villages in 2011 with a focus to address the issues of exclusion and discrimination. In 2014, the strategic issue of the ecological child right was brought to the fore front. The mother tongue based early childhood education was enforced in the government ICDS centres by demonstrating model centres in 40 villages. In the entire journey, child protection of children in the form of rescue, rehabilitation and integration with the family and society, family based alternative of child care, control girls trafficking, control child abandonment and youth mobilisation has been continuing. buy cialia canada.